The cast list is typically announced midday on the Friday after auditions. 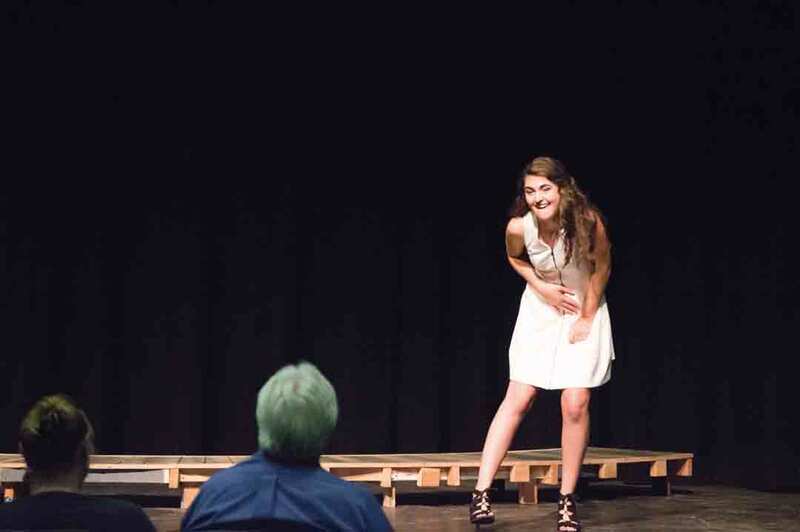 Each audition consisted of a brief 60-90 second monologue along with a 16-bar excerpt of a song from the musical theatre genre and while all CBU students were encouraged to audition, theater majors and minors were required to audition. After making an impressive impact through his theatrical work last year in the program, Daniel Beimford, sophomore theater major, said he is excited to rejoin the circle of thespians. “There’s not really anything like that nervous energy of audition and callback nights,” Beimford said. Alexis Safoyan, junior theater and public relations double major, added that this year’s repertoire includes two well-known shows. “There are characters that we all know and love,” Safoyan said. Classes required of theater majors teach students how to prepare for an audition such as these auditions. “Most people involved in the productions we put on are involved in classes within the program,” Beimford said. Jacob Gomez, junior theatre major said he has learned through experience how the audition process works. “A couple weeks in advance you pick your monologue, you pick your song you sing through your song, memorize it, memorize your monologue. Audition day,I don’t stress about it. If I go over it too much that day, I’ll stress myself out,” said Gomez. Gomez gave his opinion on how to have a successful audition process. “If you do too much singing or speaking the day of the audition, your voice could be tired by the time you get to your audition,” Gomez said. Beimford said he embraces the process as this is his second year in the program. “It’s why I and others choose to do theatre at the end of the day; it’s all about being a part of a community,” he said.